The excitement began as we boarded the classy open-air red vintage tour bus! 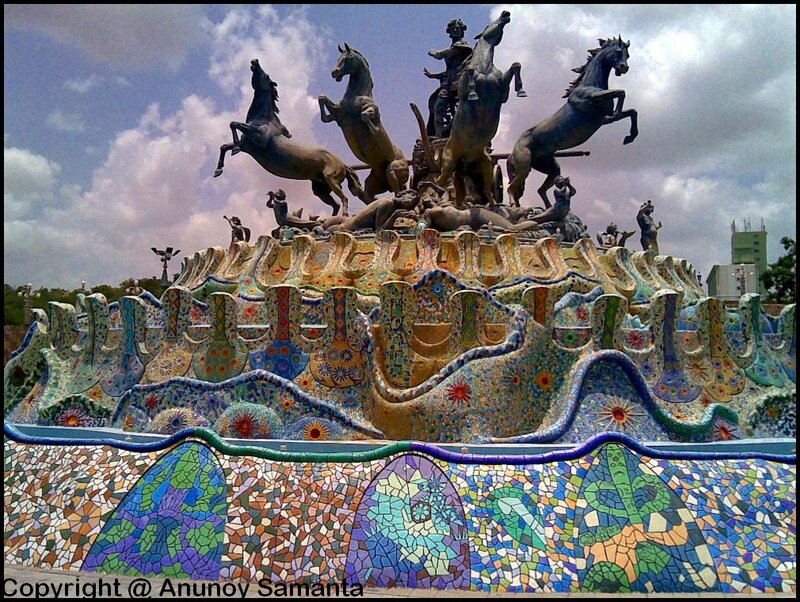 Are you looking for Hollywood experience sitting in India? Are you a movie buff? Have you ever wondered how movies are injected with such overdose emotions and mind boggling special effects? Have you planned to spend a day with your family in one of the finest amusement parks in the world? Do you want to make your honeymoon memorable and do not mind traveling to Hyderabad? If your reply to any of these questions is ‘Yes’ then the Guinness World Records certified ‘World’s largest film studio complex’, Ramoji Film City is just the right place for you! It’s not only the wonderland for filmmakers but also a dream-scape for enthusiastic holidaymakers like us. I was pretty impressed by the cleanliness and abundance of road signs in the entire complex. The guided day excursion tour package they provide in Ramoji Film City is totally fun filled and the sweet part is, there you’ll find amenities appropriate to every age group. May be I haven’t mentioned the best thing yet, yes, the full day excursion you opt for is completely ‘Value for money’! You name anything, from palace to pyramid, lake to jungle, Mustang to Angelina and everything is there just before you … everything is unreal but they all look livelier than their original counterpart! In August 2009, we made a full day excursion from Hyderabad to Ramoji Film City and trust me, it was worthy. Unfortunately I had an old 2 mega-pixel camera phone with me, so these photographs won't be able to lure shutterbugs among you, but I’m sure if you go there you’ll definitely earn some beautiful shots and memories. Everything is unreal but they all look livelier than their original counterpart! Owing to its prime location on NH-9 Hyderabad-Vijayawada road, it’s an easy less than an hour drive from Hyderabad city. As I was traveling with my family I had chosen a reserved cab but you may also think of multiple APSRTC buses plying from Mahatma Gandhi Bus Stand to make the trip more economical. You’ve to buy ticket for your entry to the guided day excursion. A general guided tour ticket should include- Guided tour of Ramoji Film City in non-AC vintage bus, Fundustan, Borasura, Spirit of Ramoji Show, Wild West Stunt Show, Variety show, Street shows, Ramoji Movie Magic and three complementary rides. If you have a fatter wallet you may opt for the pricier options, and needless to say, your experience shall be way more lavish. The excitement began as we boarded the classy open-air red vintage tour bus! 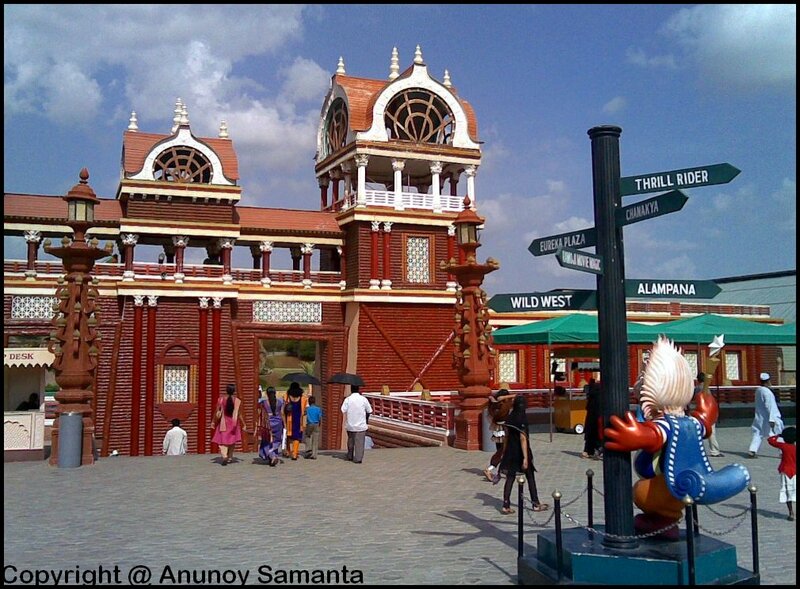 Entrance to Ramoji Film City - the World’s largest Film Studio complex. 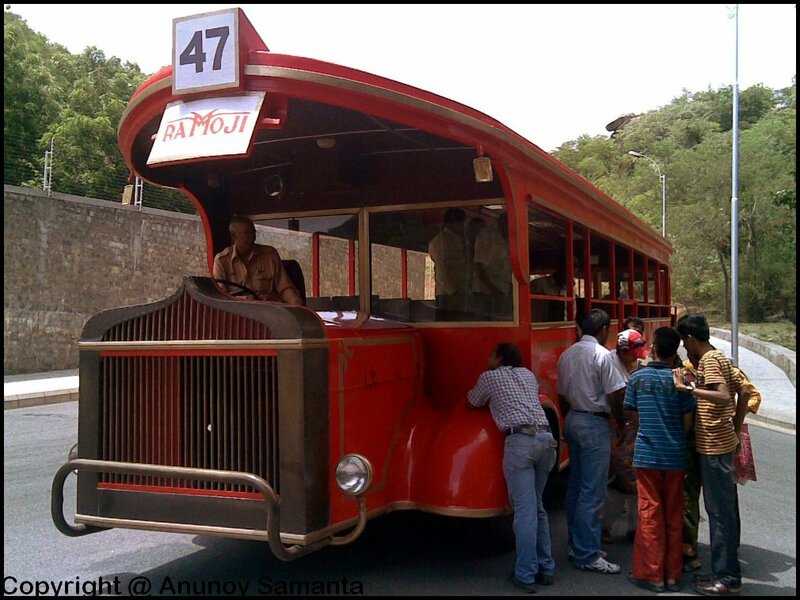 Our red bus took us for a round inside the Ramoji Film City complex to show various film sets, movie locations and give us some ‘behind the scene’ peeps. Our tour guide showed us different fake public-buildings, residential colonies, international neighborhoods, monuments, gardens and what not! 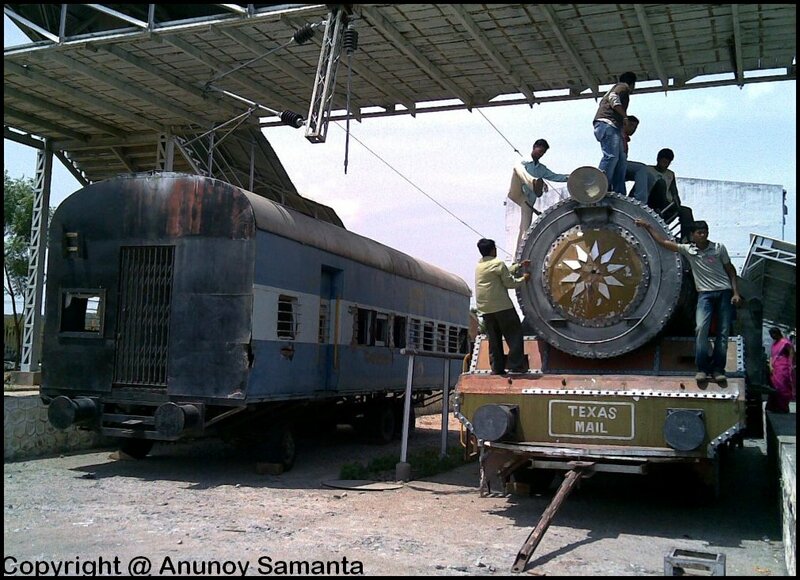 It was really funny to see filmy trains mounted with rubber tyres, while the station has been partitioned in the middle to make it resemble a village station from one side and a city station from the other! It was really funny to see filmy trains mounted with rubber tyres! Funniest was the building set, which had four different identities when seen from four different sides- college, police station, municipality office and court all four in one combo! Angel’s fountain, Sun fountain, Japanese garden, Mughal garden, King’s court set etc were few other mentionable highlights of the tour. The guide also showed us the demolition framework where explosion/blast scenes are created in a movie making. 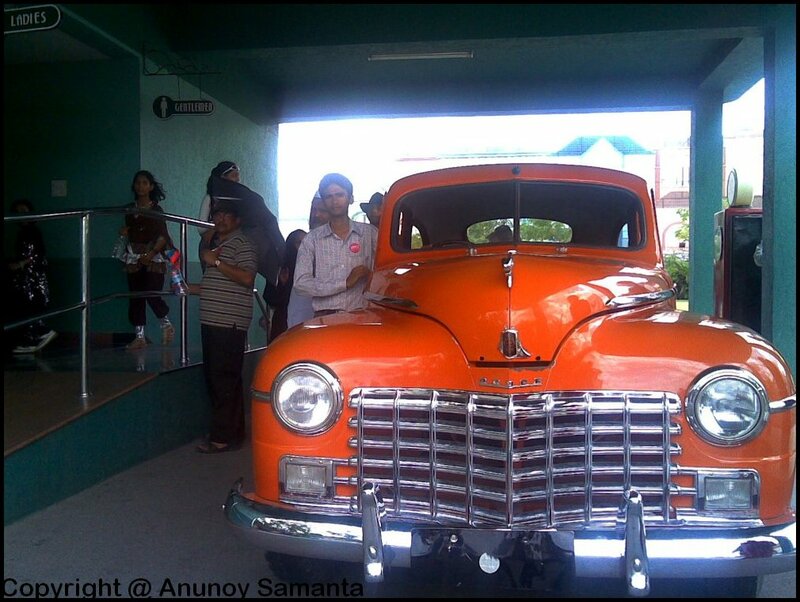 Yes, the starting of our Ramoji tour was wow! We saw fake public-buildings, residential colonies, international neighborhoods and what not! Entry to Fundustan was also included in our modest package. 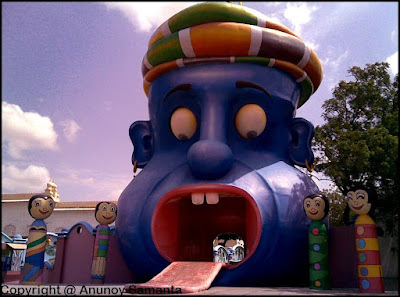 It was actually kids’ paradise with toyland, video games parlor, rides, dancing fountain, Borasura’s house, parks, play zone etc to keep them joyful at least for an entire day. The half an hour Wild West Stunt Show was quite cool where they simulated a Hollywood movie fight scene on a well set stage, incorporating hero, heroine, villain, sidekicks, horse, gunfire and a lot of actions from jumping down the building to mixed martial art! It was one of those things I enjoyed most! Entry to Fundustan was also included in our modest package. In the Action Studio, they chose few volunteers from us and showed how a movie sequence is made blending special effect and soundtracks, using the volunteers as actors and backstage staffs. A sequence of the famous Bollywood movie Sholay was chosen to demonstrate where the heroine in her horse-cart was being chased by a group of wicked horsemen. 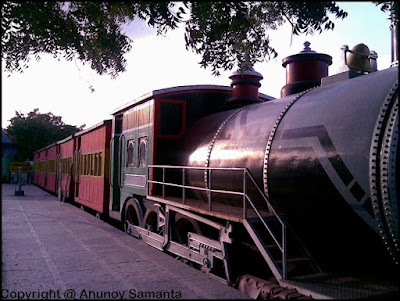 The mini-train-ride in Filmi Duniya amidst colorful dolls and toys was unique and must have been pleasant for kids. 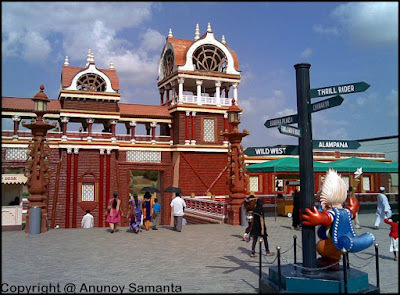 Another wonderful experience was in Ramoji Towers where you get the 4-D free fall ride in a virtual disaster scenario which can give you real goose-flesh! 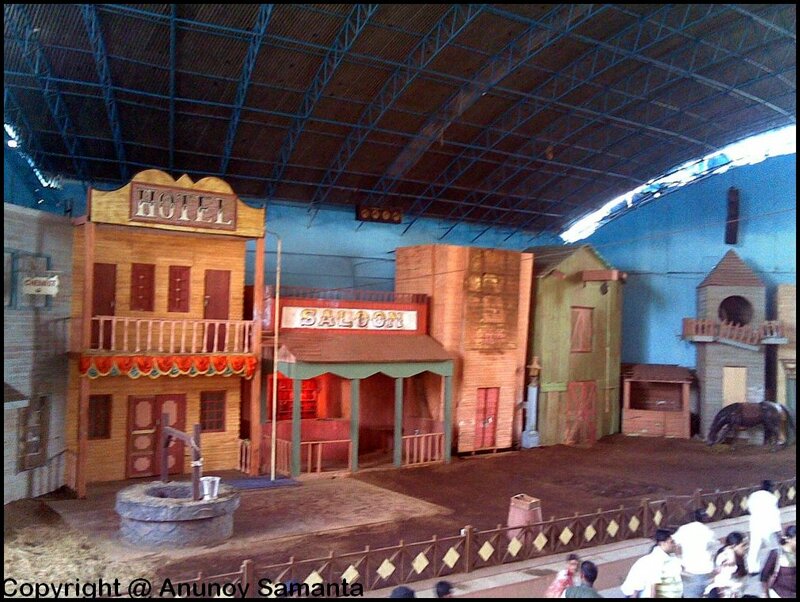 The Wild West Stunt Show was quite cool where they simulated a Hollywood movie fight scene on a well set stage! 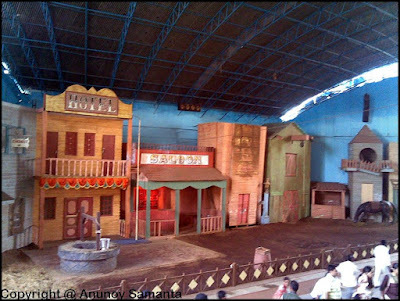 Whether you walk into the Mughal era sets or walk along the western filling stations populated by vintage Ford you’ll be entertained by dancers/performers with diverse performances which will keep you away from boredom in case you need to line up for some show ticket. I was pretty impressed by the cleanliness and abundance of road signs in the entire complex. 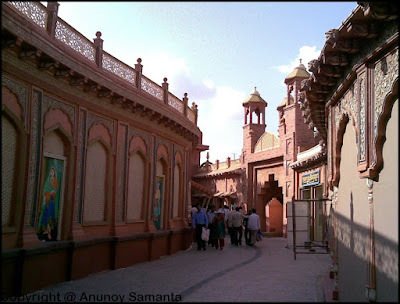 You can literally lose your way in these bylanes of Mughal Era sets! There were restaurants, cafeterias, souvenir shops, toilets and of course multi star hotels to help tourists with whatever they need. Strangely the price of beverages/snacks wasn’t as steep as I expected! By late afternoon we consumed our complementary ride passes and yes, I’m not shy to admit, my heart had almost come up to my mouth… pure adrenaline rush! Our Ramoji Film City day tour ended as expected in an equally grand way with amazing performances by dancers, acrobats, jugglers and clowns… in a true spirit of Ramoji! This is not an old British railway carriage but a snacks restaurant! 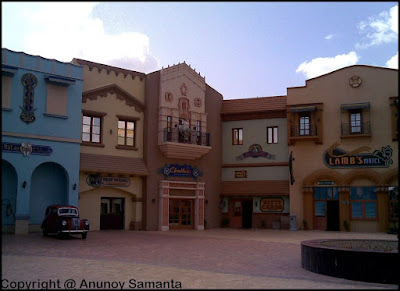 Personally I feel, a guided day tour is not adequate if one wants to explore the magical film city at his own pace and take fabulous photographing opportunities. But the pricey accommodations inside is certainly restrictive for most of the budget travelers. 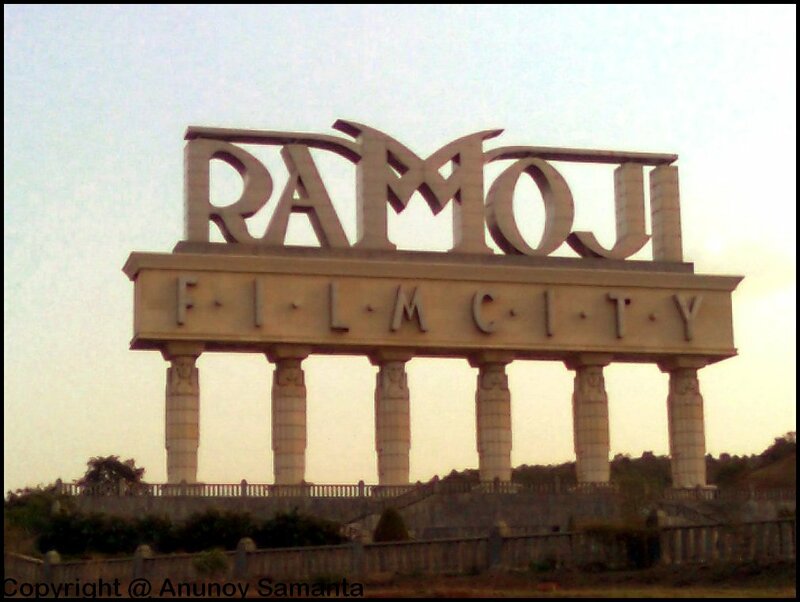 In case you've a big plan ahead, wedding services and honeymoon packages are also available in the Ramoji Film city! Though winter would be the perfect time, any day is a good day to pay visit to Ramoji film city. If you don’t go you won’t have regrets either, but in that case trust me- you’ll miss a great thing. A day excursion is not adequate if you want to exploit fabulous photographing opportunities! I could not visit it when I went to Hyderabad. I was told it's a full day activity, I had to drop it. Woo...good to see you review something where I have been. :D and that too in my city. I will be returning to India soon. I am a temporary NRI..